Attorney // Miller & Company, P.C. 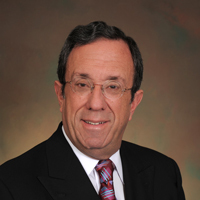 President of the law firm of Miller & Company P.C., Marshall Miller is internationally recognized as the “father” of the U.S. Foreign-Trade Zone Program. He has been instrumental in formulating policies and procedures affecting foreign-trade zones in many important areas including: determining the Customs value of merchandise produced in foreign-trade zones; development of the Customs weekly entry program, FTZ Customs Management documents; Direct Delivery, Temporary Removal, Alternate Inventory Control System (AICS) and Unique Identification Number (UIN) inventory system; structuring the CBPF 214 and 216 forms; the FDA/FTZ weekly entry filing procedure, the special machinery entry procedure, the U.S. Customs Service FTZ Manual; revisions of the FTZ regulations of the Foreign-Trade Zones Board and U.S. Customs and Border Protection; numerous Customs Rulings, and eight statutory amendments to the Foreign-Trade Zones Act. In private law practice, Mr. Miller specializes in import, export, and foreign- trade zone law. His firm has represented over 700 general-purpose zones and special-purpose manufacturing zones. A founder of the National Association of Foreign-Trade Zones (NAFTZ), Mr. Miller has served both as a member of the Board and President (1979-1981). He became an Honorary Life Member of the NAFTZ in 1982. As General Counsel to the NAFTZ since its founding in 1972, Mr. Miller’s firm has provided legal supervision on all aspects of the development of the U.S. foreign-trade zone programs including the Foreign-Trade Zones Board and U.S. Customs and Border Protection regulations. Mr. Miller received his undergraduate degree from the University of Missouri at Kansas City and his Juris Doctor from the University of Virginia School of Law. He is a frequent lecturer at Customs and international trade seminars throughout the U.S., Puerto Rico, and internationally.